Tri-State held another Boy Scout Railroading Merit Badge class this month. 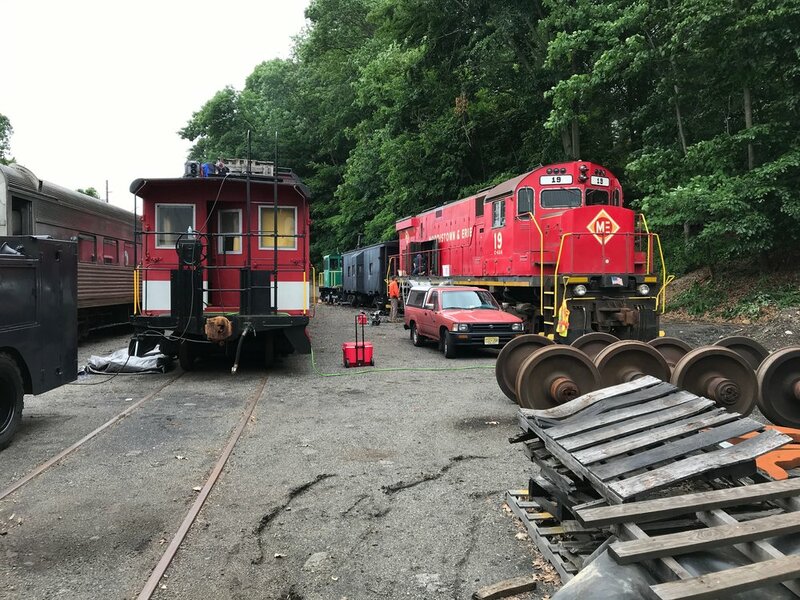 Tri-State's father-son volunteer duo Josh and Ed Kohler, with the help of member Rudy Garbely taught a class of boy scouts off site, and then brought the group to volunteer in Boonton Yard to get hands-on experience with out collection of railroad equipment. 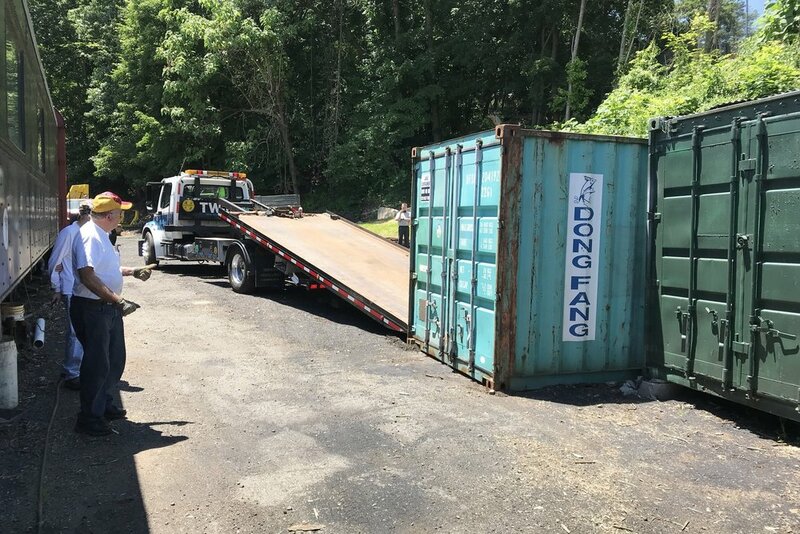 Tri-State took delivery of new 20-foot shipping container at Boonton Yard on Saturday, June 16. 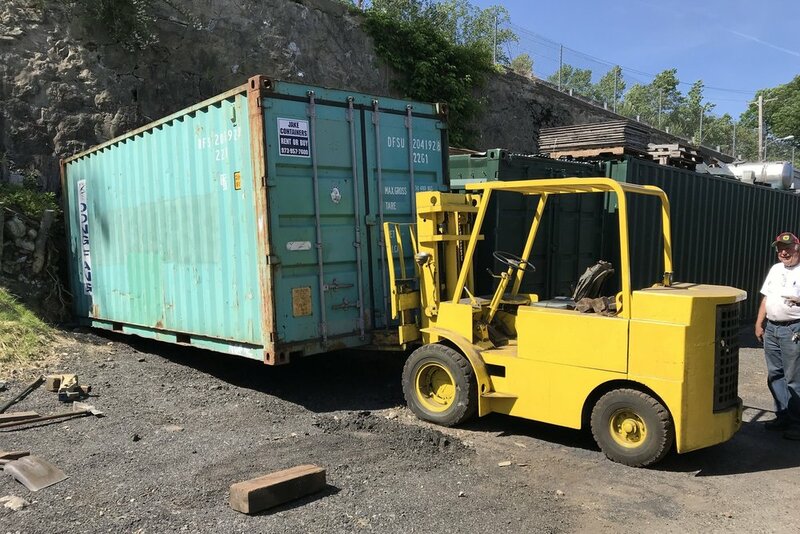 This container will now serve as Tri-State's storage shed and workshop, opening up space in the Erie C330, which until recently was home to the restoration team's tools and equipment. Having secure storage and work space in Boonton opens up new opportunities for Tri-State. It allows the group to expand upon the growing collection of tools which help carry out projects, and allows us to keep inventory of parts which are use for restoration projects and keep 19 operational. 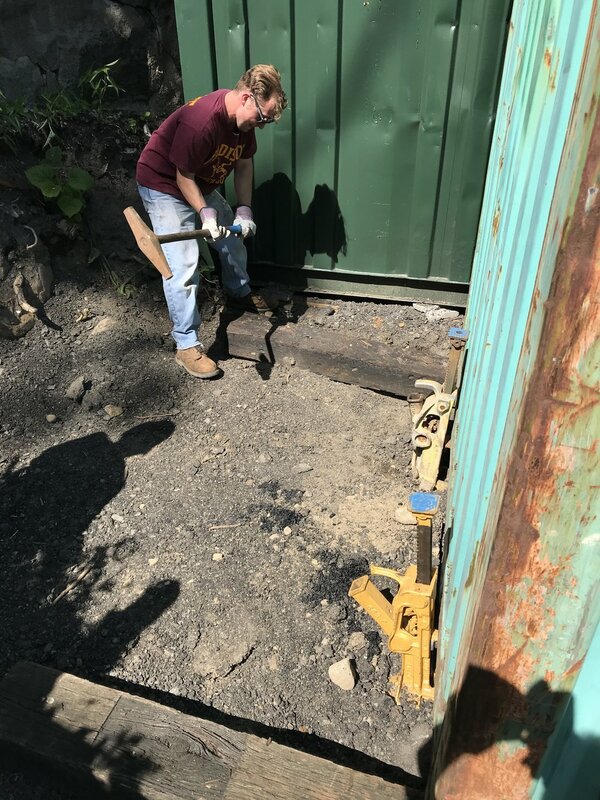 This purchase is part of the many improvements that Tri-State has been making to Boonton Yard for the benefit of volunteers who work on Tri-State and URHS projects. Tri-State recently brought an on-site restroom to the facility, and with the new container in place, will have an outdoor sink installed. The group plans to prioritize more amenities that will improve the volunteer experience in Boonton. Plans are to give the container a new paint job with Tri-State signage and to install the very-necessary ventilation. Tri-State's M&E 19 was fired up and run for the first time this year on Saturday June, 9. This was following several weeks of repairs to the engine's oil cooler. 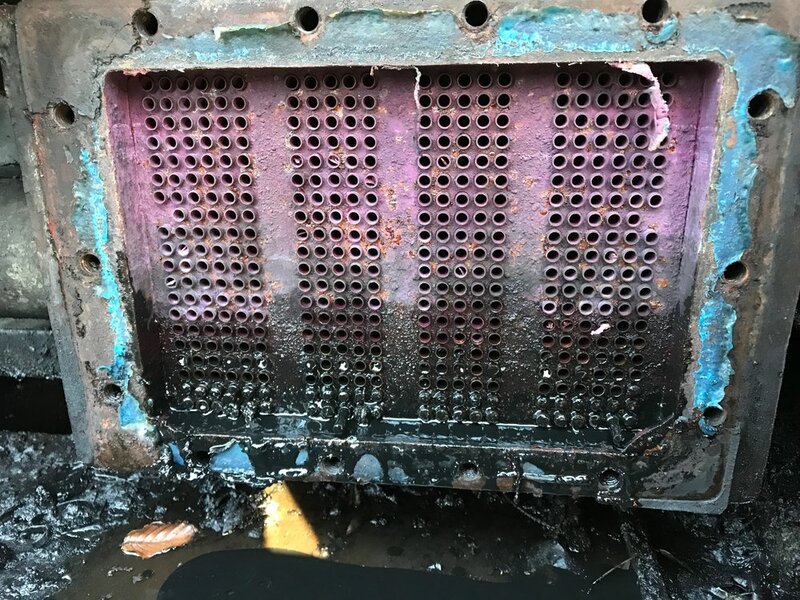 At the beginning of the season, volunteers found that oil had leaked into the water/coolant system--evidence of a failed oil cooler. 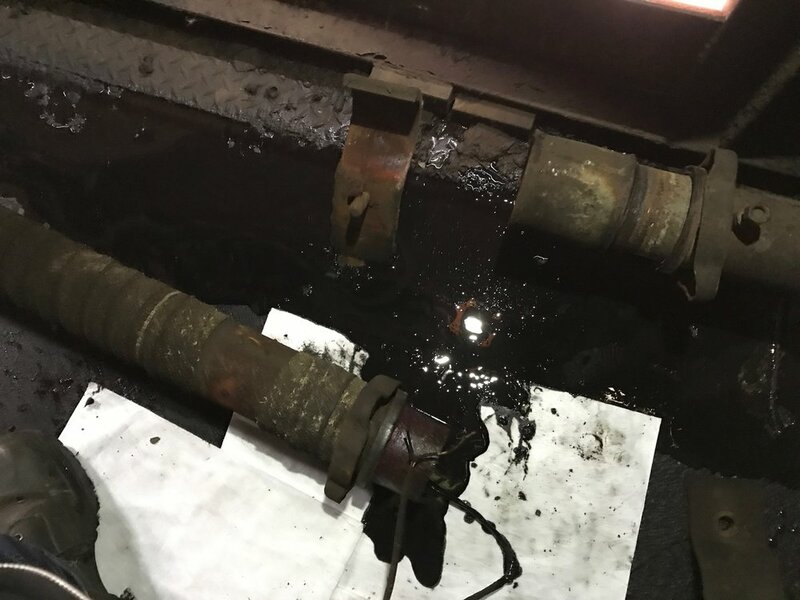 Upon further inspection, it was found that at least one tube in the locomotive's oil cooler had failed, and dumped several gallons of oil into the lower-most pipes in the cooling system. 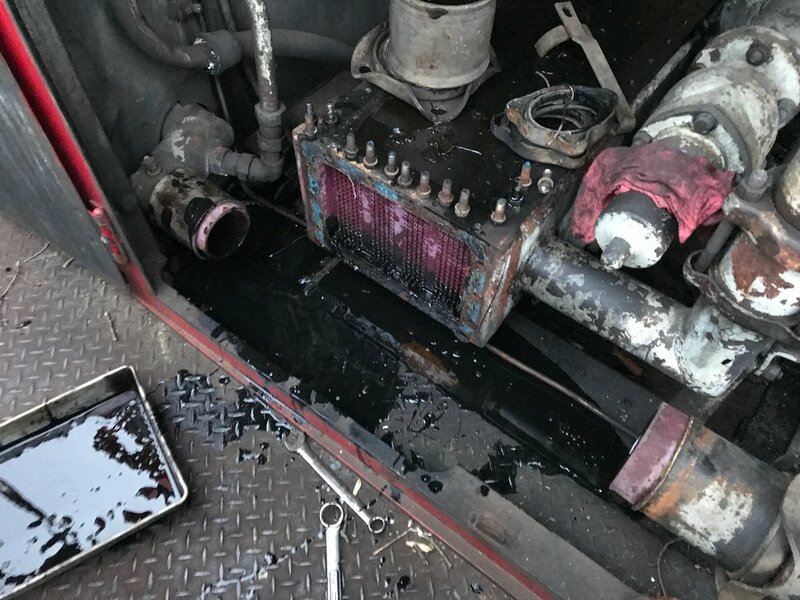 To fix this, volunteers would have to inspect each of the dozens of tubes in the oil cooler, remove and degrease all of the affected plumbing, replace gaskets and bolts, and then bypass the broken oil cooler tube(s). ALCo Century locomotives have a unique oil cooling system. The oil is water-cooled in the same way that the block is. Four hundred small tubes carry coolant through the oil in an intercooler which sits a the lowest point in coolant system. Because the oil cooler is so low, water can settle there, making it prone to freezing in the winter. Evidence of prior fixes from its career on the M&E and TP&W could be seen when the access panels on either end were removed. The most logical solution for this problem is not to "fix" it, per se, but to bypass broken tubes by plugging either end. 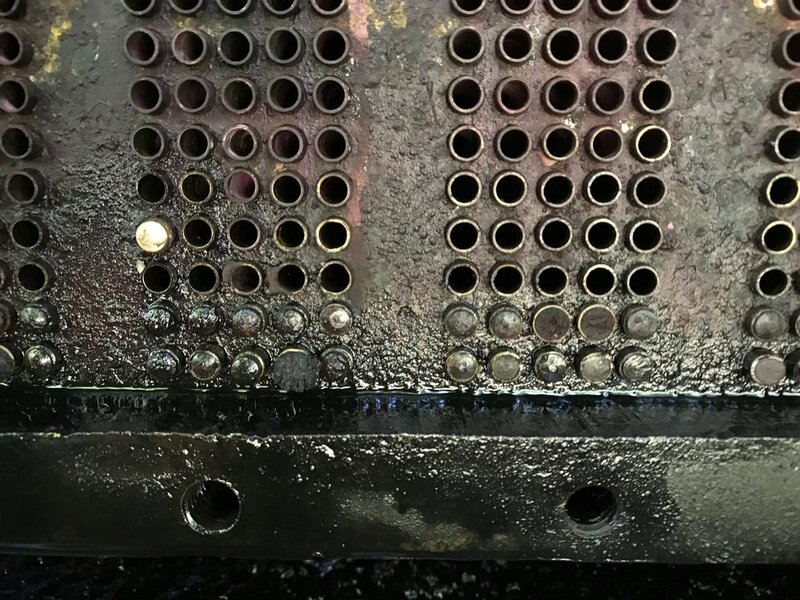 This is a common practice in industries that use heat exchangers or intercoolers for variety of purposes. It eliminates the need to remove and rebuild the device and its affect on performance is negligible. 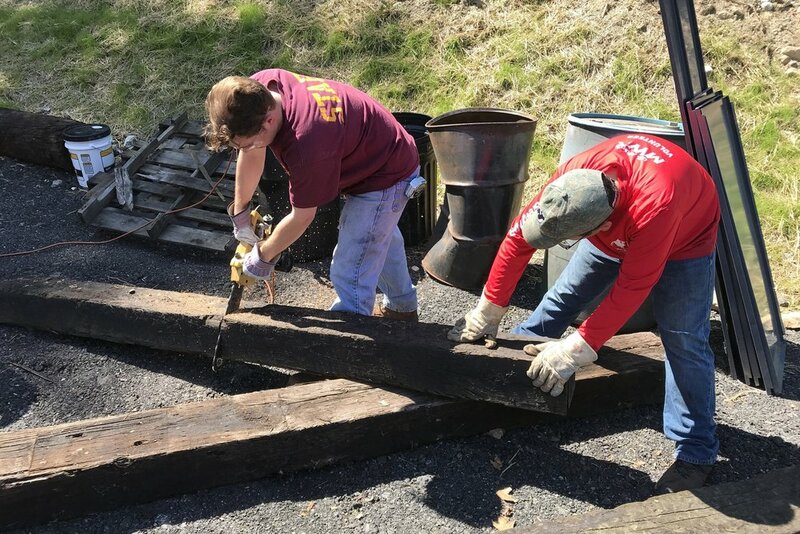 Tri-State's volunteers spent several weekends taking apart plumbing, disposing of oil, degreasing parts, and even cleaning the oil cooler tubes with a rifle brush. After all the tubes were cleaned, it was found that only one had ruptured. That one tube was plugged, and the oil cooler was reassembled. The first test run of 19 was successful, and the engine performed up to expectations. In the following months, improvements will be made to 19's electrical system, and it will get its first 92-day inspection under Tri-State. 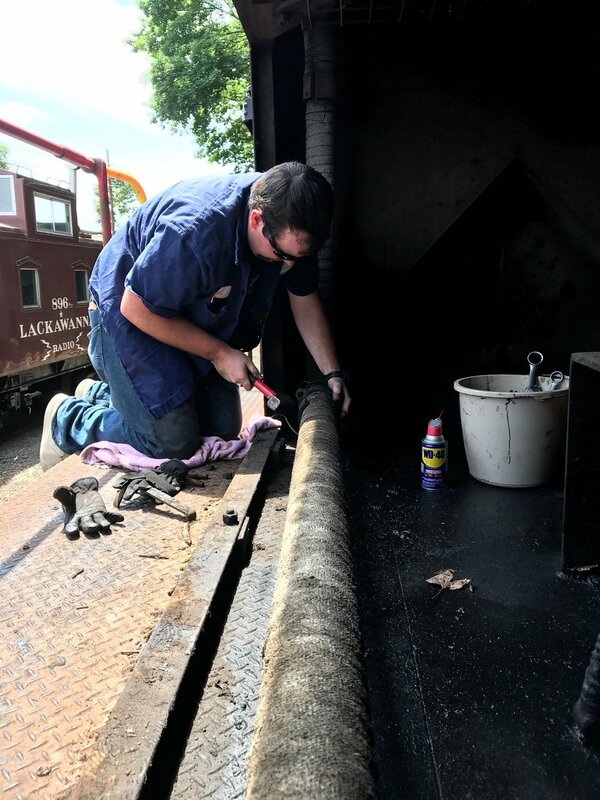 As the proactive caretaker of the world's oldest, unaltered, operating F-unit, the Tri-State Railway Historical Society will be replacing all 16 fuel injectors in Lackawanna 663. The locomotive will turn 70 years old in 2018. To ensure long term operation, Tri-State is looking to raise $2,000 to support the purchase and professional installation of the injectors. Interested in purchasing an injector for 663? Learn more by clicking here.